I’ve read a post about the smoking dilemma of an overseas worker. The guy is working in Australia and he wrote a very detailed post about how he started smoking and how it helped him cope with the stresses of his jobs. Though he didn’t mention about Padron cigars, he said no matter how hard he tries to quit, he always ends up lighting a cigarette. He smoked two packs or more each day. But with the help of his friend who introduced him to a stop smoking aid, he starts to show progress. He’s been smokeless for less than a month now. I hope he’d totally give up smoking for his health’s sake. This entry was posted in Advocacy/Cause and tagged quit smoking, will to stop smoking on May 26, 2013 by Mommy Yam. 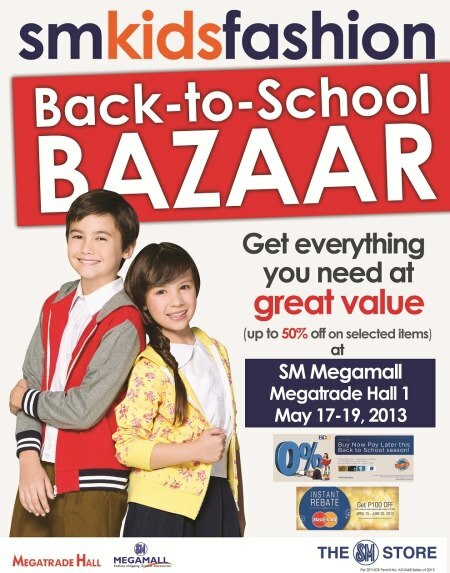 If you haven’t shopped for your kids yet, check out SM’s Kids Fashion Back-to-School Bazaar this weekend (that’s from May 17 to 19). They are offering 50 percent off on selected items like uniforms, school supplies, shoes and bags. Spare yourself from cramming and make your shopping schedule ahead of time. So just before you check out on the best selection plus size sports bras that you were planning to buy, visit the bazaar first to get the best deal in school essentials. I might also check out for discounted lunch bags or tote bags at the bazaar. This entry was posted in Discount, School supplies, Where to shop and tagged bazaar, weekend sale on May 15, 2013 by Mommy Yam. Don’t get me wrong, I’m a peace-loving citizen. But if we are talking about personal safety of my children, it’s a different story altogether. I wouldn’t allow them to bring any sharp objects though. However, anything (except knives and a real gun) that would protect my kids from an imminent attack wherever they maybe will be of big help. A pepper spray gun from a reputable shop can be of help. Search related products from the Internet to broaden you options. 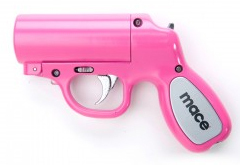 Just an advice for those holding this type of self-defense product – be responsible. This entry was posted in Protection and tagged pepper spray, pepper spray gun on May 8, 2013 by Mommy Yam.